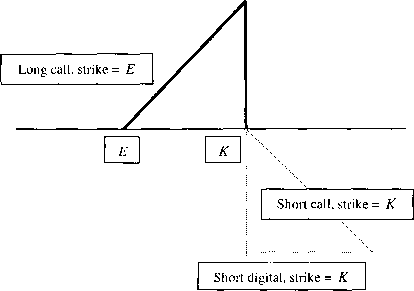 3There in an implicit adjustment for risk because the current stock price is used. All other things being equal, the higher the risk, the lower is the stock price. Further, the lower the stock price, the greater is the cost of equity, again assuming all the other information is the same. Betas and T-bill rates can both be found at . www.bloomberg.com. Thus, using the SML approach, we calculate that IBM's cost of equity is about 10.65 percent. Advantages and Disadvantages of the Approach The SML approach has two primary advantages. First, it explicitly adjusts for risk. Second, it is applicable to companies other than just those with steady dividend growth. Thus, it may be useful in a wider variety of circumstances. There are drawbacks, of course. The SML approach requires that two things be estimated, the market risk premium and the beta coefficient. To the extent that our estimates are poor, the resulting cost of equity will be inaccurate. For example, our estimate of the market risk premium, 9.1 percent, is based on about 75 years of returns on a particular portfolio of stocks. Using different time periods or different stocks could result in very different estimates. Finally, as with the dividend growth model, we essentially rely on the past to predict the future when we use the SML approach. Economic conditions can change very quickly, so, as always, the past may not be a good guide to the future. In the best of all worlds, both approaches (the dividend growth model and the SML) are applicable and the two result in similar answers. If this happens, we might have some confidence in our estimates. We might also wish to compare the results to those for other, similar, companies as a reality check.